First off.. a big awesome super congratulations to Amanda at 1 mile 2 Go for just hammering her first 24 Hour this morning at the NorthCoast 24-Hour Endurance Race with over 82 miles completed!! Brilliant! We have been tweeting back and forth about our upcoming 24 Hr’s and I am so excited for her! An awesome race report will be coming I am sure! Oh and really looking forward to writing about my running and race walking training on my weekly recaps… since these are recaps on training for a “running” race.. but not yet… the damned right foot still isn’t right yet. Seeing both my podiatrist and my chiropractor this week so here is hoping that it is 100% soon. Nothing more that I can do but what I am doing and wait. I continue to get stronger in the gym, so I have that going for me. I really enjoy the workouts and am excited about continuing to get stronger (althoug I don’t consider myself “strong” yet) and know that it will help in some way on race day… but also know of course that I need to run and walk. During a serious and long ultra (I know.. are there any other kinds of ultras!) one area that can get quite sore and abused are your hips. I don’t mean they generally get injured.. I just mean that putting enough miles and hours on them they can really start to get sore, weaker and generally annoying. I have experienced this and I guess after 10,000s of steps this shouldn’t be too unexpected. One thing that I have noticed (and of course knew beforehand but never really thought about it because I hadn’t trained these exercises heavy for a running race) is that my whole hip structure gets seriously worked and sore for a few days after the heavy deadlifting, leg pressing and squatting.. but then feels better and stronger a couple days later. My expectation is that this will help on race day as my whole hip girdle is stronger and more resilient. We use that area in running but don’t strengthen it in the way that I have been. We will see… it is part of the experiment. My feet are slowing starting to get a bit thinner and my arch is ever so slightly getting a bit lower. As I detailed in my first writeup on my barefoot running journey my feet significantly changed as I became a better and better barefoot runner. They got a bit thicker as they got stronger and my toes spread out a bit while my arch got higher. There hasn’t been significant regression with my not being able to run but I can notice something… and I don’t like it.. but they will come back in probably 3 weeks or so once I am able to start running and race walking again. Looking forward to that soon. 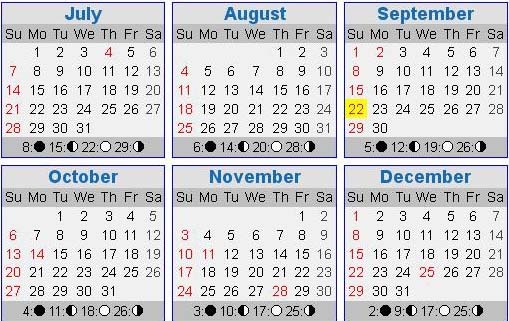 I will have an even more thorough detailing of my diet at some point, but my recovery in the gym, my ever increasing strength and the changes in my musculature reinforce to me that I need to keep this going and spread the word that most of us aren’t eating enough and by grazing throughout the day we allow our bodies to better fully heal. So now I will detail my training from Week 10. Tuesday the 17th: 6 sets on the 45 degree Leg Press ending with 540X6 and 590X4 which is a serious bump from the last time that I did it. Looking forward to going over 700 and beyond. I could feel that this type of leg pressing helps strengthen the knee tendons and that could help me on race day. Only 12 sets for Chest but got up a pair of 95lb dumbbells in the flat bench press and it has been a while since I did that. And was reminded of a great exercise for overall chest wall thickness (and reduced stress on your wrist) from a friend of mine and I really like them. They are doing the flat bench using the Smith Machine but with a reverse grip. Big fan and felt soreness in my chest in a different way the next day. Will keep them in the program! Ran out of time so did the rest of this workout on Wednesday. Finally incorporated a bit of forearm work into my training doing 4 sets of standing barbell front and rear wrist curls. I hold the barbell at my waist and push forward and backward as far as I can go with my wrists only. Ended with 110X10. Then also did 3 sets of wrist roller work using a barbell on a bench rack. I just load up the barbell and turn it using the outer Olympic sleeve. It is a favorite of Magnus Samuelson and he has some crazy grip strength and forearm size. I like them.. forearms were bursting with blood and it was kind of fun. I really felt it later in the day that my wrists were seriously worked.. maybe did slightly too much for the first time back but I was fine the next day. 17 sets for Delts and did standing barbell push presses (and it has been a while for them) and got up to 155. Not bad and felt good about it. Want to get back up to 225 eventually but will be awhile. Then my second round of forearm/grip training for the week with 2 sets using the Trainer version of the Captains of Crush grippers. Really enjoyed it.. always have enjoyed training grippers.. and forearms blew up with blood again so that is cool. Looking forward to keeping up working them over the coming months. Probably won’t help my race but will balance things out and help keep me injury free in the gym. Sunday the 22nd: Planned on doing deadlifts, lats and triceps like normal (although I usually do them on Saturday) but for a couple of reasons… (was exhausted from an extra stressful and long Saturday and also starting the workout really late and not having eaten anything beforehand) I was just beat down after the deadlifts and will have to get lats and triceps in tomorrow. I was still happy with the deadlifts though because I went up 20lbs from the last session ending at 345X4 and 355X3. That is about it for last week’s training but please be on the lookout for a number of upcoming posts! I have an awesome review and giveaway (a pair for men and a pair for women to give away!) of some recovery sandals, my movie review of the bodybuilding expose Generation Iron (in short quite good.. but had the potential to be great and wasn’t) and my first Japanese Whiksy review (and it is an utterly grand dram!). So lot’s coming up at Mavrocat Strength! by Amy at Coffee, Scarves and Running Shoes. This literally made my week and I will also be writing the post that is required (answering a lot of fun questions for my readers 🙂 ) to accept the honor of this nomination! That will be coming and I am very honored and proud to be deemed worthy by a fellow blogger of this award! Super cool. 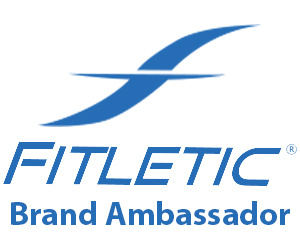 This entry was posted in Running, Running - Training on September 22, 2013 by Chris M.
I am looking forward to hearing you responses for the Liebster! Congratulations! Glad you are enjoying your workouts. Thanks Amy! Yeah I am looking forward to writing that post. I am actually behind on 3 – 4 posts that I want to get out but it has been a crazy week. Really hoping to get at least that one (besides my recap) in this weekend. And you are right.. as much as I am not running at the moment (I am thinking about doing some stairclimbing tonight) and wish that I was.. I am lucky that I am seriously enjoying the gym and seeing progress. If I had nothing else (besides running) it would be a lot tougher. Yes I will definitely put some thought into the answers and am pretty certain that some will be humorous. My calves can also really start pulsating late in a race. Yes twitching.. that is a perfect word for it. I don’t remember ever having much hamstring annoyances.. but yeah like you said… shows how we are different and have different strengths and weaknesses I guess. You and me both… looking forward to hitting the road and trails.. especially as the weather has finally gotten good over here. I am sorry to hear that you are not running like you would like to be right now, set backs are so hard to deal with, more so mentally I think than physically. Sounds like you are making great progress in the gym though! I completed my last triathlon of the season last weekend and have decided to do more strength training in the off season this year. I just started lifting this week and I am sore! 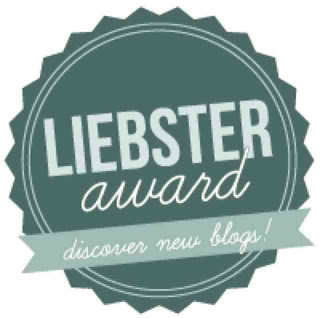 Looking forward to your Liebster award answers, very cool award! I am certain that it will be soon that I will be out there running and walking fast.. and am confident that I have enough training time to have a good go at it on New Years Eve! One nice thing is that I am not worried about finishing 🙂 I will definitely finish. It’s funny but this time I am cool dealing with it mentally actually (you are right usually that is not the case) and I guess it is a combination of really enjoying and thriving in the gym.. and also being far enough out from the race (still over 3 months) that I can get back in shape for it. If it was 3 weeks out, I would definitely be more stressed. That is so awesome that you finished another Tri! I am going to be coming over this weekend and read all about it. Oh yeah.. you are definitely sore for the first 3 – 6 weeks when you hit the weights again but it gets better and I really do believe that being strong will make us better endurance athletes. Very cool. Let me know if you ever have any questions about any of the movements. Will definitely do the Liebster post this weekend. Yes Amanda did an amazing job and it was so cool following her training and then getting to see her tweets come through on race day! That is still my goal. I am still very much expecting to be able to start training soon and think I am going to be in much better shape by continuing to strengthen in the gym then if I wasn’t doing anything. I know how frustrated you were with the injury but it is awesome that you are back running now. When you do get to your first 50M.. it will be that much sweeter!! You ultrarunners are an amazing group. Hope you get a good report on the foot this week. At the moment I don’t feel like much of any type of runner… but I know it is just a matter of getting back into it. It is amazing how quickly you can get things back once you start back up. I’m lucky I still have time. I’ll be popping over to your site soon! 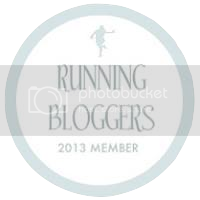 Hi, found you on runningbloggers! Wow! Ultras are amazing! Way to go with the workouts! Thanks so much for stopping by and for the comment! Yeah training right now is definitely an adventure especially with my inability to run but I plan on that changing soon. I still have time so that is good. I really look forward to checking out your site and will do so soon! !